Our Award Winning Toronto Movers Make Moving Simple! Stress Free & Damage Free Moving Services Is Our Guarantee! Make your next move your best move stress-free damage-free for less! easy! simple! Welcome to RoadRunners Moving & Storage. We provide a simple solution to your moving and storage needs. Moving shouldn't be chore! It should be easy and stress free! Fun even! That's the attitude we have towards moving. 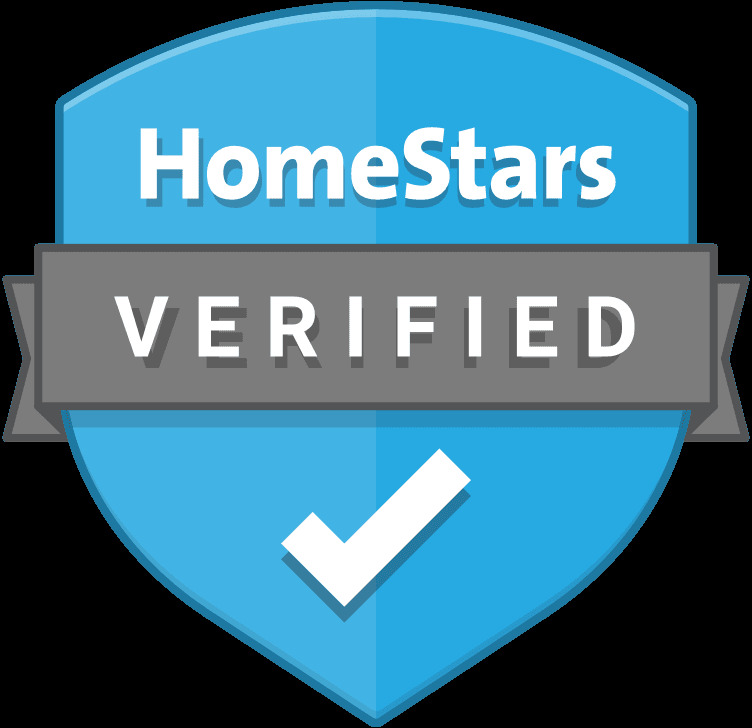 It's why our moving services have become award winning and highly rated. When we’re on the job, you can expect a world class moving experience! We've made the entire moving process as simplified for you as possible. Hire RoadRunners Moving & Storage for a damage free, stress free, moving experience. Guaranteed! What can our Toronto Movers do for you? Our team of moving professionals are here to help! We understand how stressful moving is. There is so much to do. Let’s take “finding a reliable mover”, off of your to-do list! RoadRunners Moving & Storage has been providing Scarborough and the GTA with a reliable source for their moving and storage needs since our doors opened in 2010. With 9 years of experience under our belts, we’ve seen our fair share of precarious moving situations, and have gained the experience needed to handle any move in a professional manner. No job is too big or too small for our team of moving professionals. From single item moves and internals, to fully furnished homes and estates. The professional moving services we provide is sure to leave you satisfied. In order to better serve our clients, we offer a variety of home care services in addition to moving, such as junk removal and lawn care, are now available to all of our customers. Providing the highest levels of satisfaction for our customers is a priority. In keeping with this desire, we offer the moving industry's only "damage free guarantee". A comprehensive, no fuss, no deductible insurance plan included for free with everyone of our professional services. Our 100% damage free guarantee provides customers with peace of mind. We care about providing our customers with outstanding service, and we’re committed to delivering high quality results in everything we do! That’s why every single one of our services is backed by a no fuss, and comprehensive insurance plan for free! Any item damaged due to mishandling on our part is repaired to your satisfaction, or replaced for you. No questions asked! We’re not satisfied with our work until you are! WE’RE MORE THAN JUST A MOVING COMPANY IN SCARBOROUGH! Condo moving made simple with a Moving Company In Toronto you can trust! Moving from an apartment, condo, or loft, has its own unique challenges. One of the most important factors to account for, is properly managing the available elevator times. We are experts at it! We’d be happy to offer you our expertise and friendly advice to help make your move trouble free. Rest assured that our moving company has the professional movers required to provide flawless moving services every time! Give our moving professionals a call or quick email with any questions you may have. Not every moving company in Toronto was created equal. Everything we do is backed by Toronto’s only 100% damage-free-guarantee! In the unlikely event that we damage anything during a moving service, we will take full responsibility for all the associated costs involved in the repair of the damaged area or item. No questions asked! Let us Make storage simpler for you! If your move requires the use of a storage facility, temporarily or long term, You've come to the right place! We’ll take care of your specific storage needs, whatever they may be. We’ll take the guesswork out of choosing the right sized unit and storage facility. We'll handle all the details on your behalf, big and small, to make your Toronto moving service as simple and stress free as possible. RoadRunners give you more bang for your buck than your typical moving company Toronto. Atypical of your average moving and storage companies, we provide all the materials you’ll need to keep your items safe and undamaged during their stay in our storage facility for FREE!. Items like Moving blankets, shrink wrap, cardboard boxes, mattress bags, and more, are all provided to you with any one of our professional moving services. We’ll pack your entire Toronto home or office in a day! Short on time? Need somebody reliable to take care of the packing for you? Our Toronto Movers got you covered! We can pack your entire Toronto home, small office, or business in a day! We’ll provide all the necessary packing materials and make sure your packing gets done right! Let us show you why we're the best professional Movers in Toronto and the GTA. Often times, the most stressful part of moving, is the packing. Where do you start? What do you need? Why make your move more stressful than it needs to be. RoadRunners offers a simple solution to this problem. Sit back, and let our professional movers take care of the packing for you. With a simple call, we can get your entire Toronto home packed and ready to move in a single day. Your one call away from having your entire home packed in a day! We're a Toronto moving company first and foremost... But hey, We're Handymen too! Almost any job you can think of doing around the house, we can take care of for you! We'll hang stuff, move stuff, assemble stuff, disassemble stuff, repair stuff, mount stuff, hook stuff up, break stuff down…Whatever you need, by the hour. Avoid the frustration and hassle of handyman duties!. We'll take care of it! When you choose RoadRunners Moving & Storage as your Toronto Mover, you get an all access pass to one of the most comprehensive moving companies in Toronto! We’re much more than just a Toronto moving company. We can take care of most of your general home care needs. Click an Item below to find out more. about our award winning moving services! Super simple junk removal at your service! It makes perfect sense for us to get rid of all our junk when we move. The hard part is finding the time to do so during such a busy time in our life like moving. With RoadRunners, it's a no brainer! When the moving company you hire, also happens to provide one of the best junk removal services in Toronto, you now have a simple, and cost-efficient option for your junk removal needs! Call us today for a free estimate. Whatever your individual office moving needs may be, our professional moving company in Toronto has the flexibility and moving professionals available to get your office move done right!. Our helpful staff will work closely with you and your team to customize a office moving plan that works for you and your businesses needs. At RoadRunners Moving & Storage, we understand the complexities involved in relocating a business. Our office moving professionals are dedicated to understanding the specifics involved in your business, so that we can make the transition to your new office a success. To accommodate your busy schedule, we provide after-hour services to ensure disruptions to your companies workflow are kept to a minimum. We also provide storage solutions, packing services, and office furniture assembly services to make your transition smoother. We’re an award winning Scarborough Mover. Let us show you why! NEED SOME GENERAL YARD MAINTENANCE OR LAWN CARE? If your patio, lawn, or garden in need of some tender love and care, we can help! As part of our ongoing mission to find ways to better serve our customers, RoadRunners now offers lawn care and general maintenance for your front and back yards. From grass cutting, weed removal, and sod installation, to general spring cleanups, general maintenance, and power washing. We have the tools and know-how to get the job done right! Make Your Next Moving Company, The Best Moving Company in Toronto! Why Choosing RoadRunners As your Toronto Mover is Your Best Move! Scratches, dings, dents, and broken furniture are unacceptable in our award winning Toronto moving services. Hire RoadRunners Moving & Storage for any of our moving services, and get the Toronto moving industry's ONLY Damage Free Guarantee! A comprehensive, no fuss, no deductible insurance plan FOR FREE! We provide everything needed to make moving with us a safe and damage-free experience! Shrink wrap, moving blankets, tape, mattress bags, wardrobe boxes, and all the necessary moving equipment and tools are included for FREE with every moving service in Toronto! Trust, Honor, Respect, Integrity, Value, & Expertise. These values help us guide you through a safe and happy move! We aim to provide every one of our customers with the highest level of satisfaction, and their recognition as a trustworthy and valuable Toronto moving company. We give our customers the opportunity to get all there needs taken care of in one place. Need Junk Removal? We do that! Small home repairs? We do that too! Everything from painting to drywall repair, to TV mounting and more! Whatever you need, by the hour.